Current Position: Mr. Gregory L. Smithberger is the Director, Capabilities Directorate, and Chief Information Officer (CIO) for the National Security Agency. In his CIO role, he serves as the principal for all functions and authorities related to information technology and technology infrastructure across the Extended Enterprise. As the Director of Capabilities, he is responsible for developing and providing most enterprise and missing technology used across the NSA enterprise, as well as capabilities and solutions provided to external organizations for intelligence and information assurance purposes. He ensures that all capabilities owned and operated by NSA are designed, built, operated, maintained, secured, and defended as an integrated enterprise. Education: Mr. Smithberger graduated from The Ohio State University in 1986 with a Bachelor of Science in Mathematics. In 1988 he attained a Master of Science in Mathematics from The Ohio State University. Professional Background: Mr. Smithberger has served in a variety of Agency and Community assignments as a DISES including his current position as the Director, Capabilities Directorate and Chief Information Officer (CIO) for the Agency. 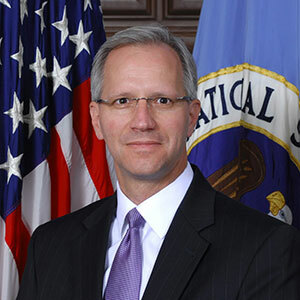 Before NSA21, he served as the Director, Technology Directorate in addition to his current CIO capacity. Prior to his assignment in the Capabilities and Technology Directorates, Mr. Smithberger was the Assistant Deputy Director of the Signals Intellgience Directorate (SID); served as Deputy Director for the Data Acquisition (DA) organization; was Chief of the Tailored Access Operations Group; took an ODNI assignment as the Director of the Intelligence Collection Architecture (ICA); served as National Cryptologic Reprehensive to the US Central Command; was an Issue Manager in SID; and served as the Deputy and Acting Chief for the Commercial Technologies Group. Notable Awards: Mr. Smithberger has achieved many awards during his career, most notably the Presidential Distinguished Rank Award in 2006; Joint Distinguished Civilian Service Award in 2005; DNI’s National Intelligence Achievement Medal in 2008; CIA’s Donovan Award in 2011; and NSA’s Directorate of Operations Medal in 2001. Personal: Mr. Smithberger was born in Columbus, Ohio, and currently lives in Potomac, Maryland. He is married to Kristin Smithberger and they have two daughters.